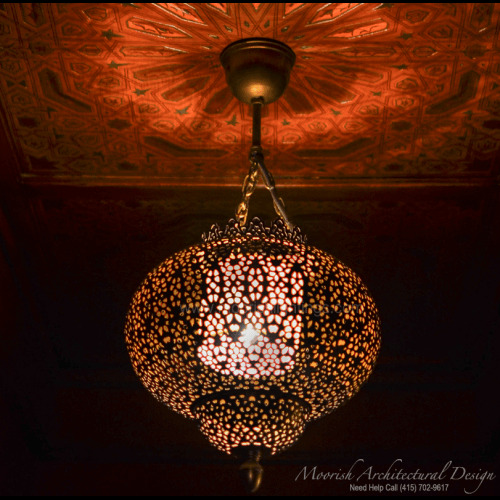 Inject vibrant style and character into your home with a traditional Moroccan hanging pendant lights or cluster of pendants. 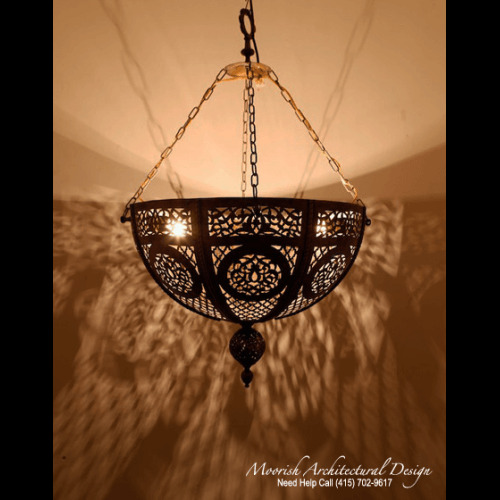 Offering anything from sultry mood lighting to bright task lighting, hanging lights come in a wide variety of styles, colors and materials. 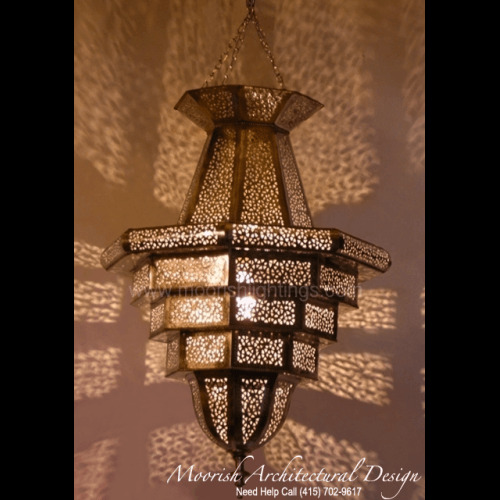 Choose from our online store selection of original Moroccan pendant lights, custom made bathroom and kitchen lighting fixtures. 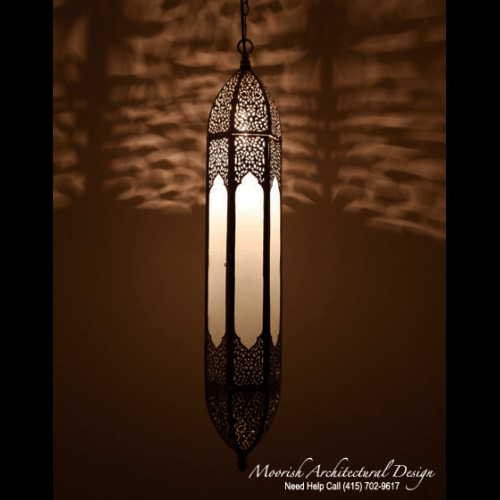 We supply handmade Moroccan lighting pendants to interior designers, architects, contractors, developers, and home owners. 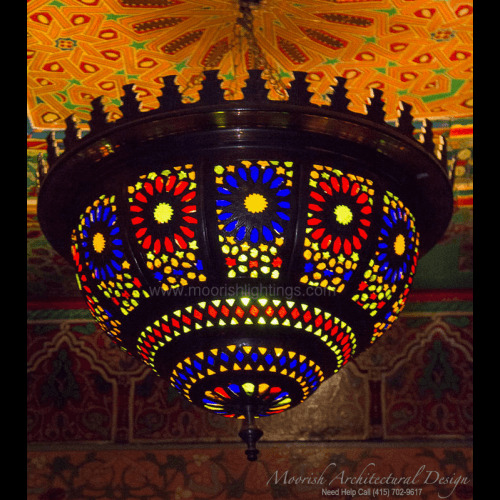 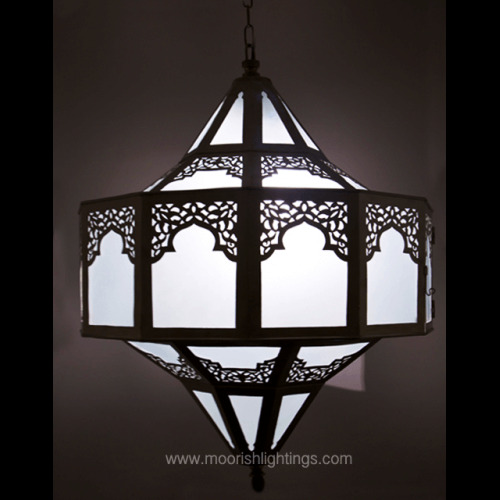 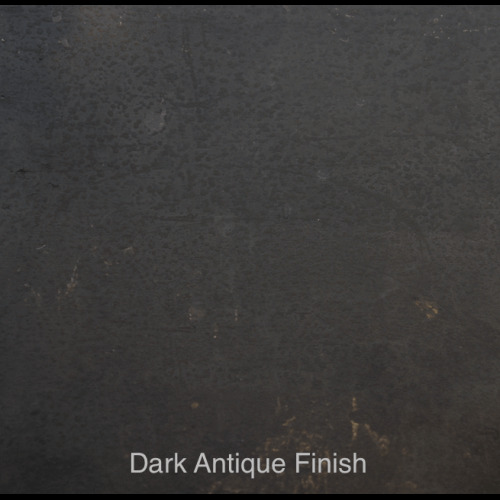 Our selection includes Moroccan hanging lamps, Moroccan glass lanterns, bronze filigree lights, Moorish lamps and lanterns as well as luxury Moorish lighting fixtures fit for a palace. 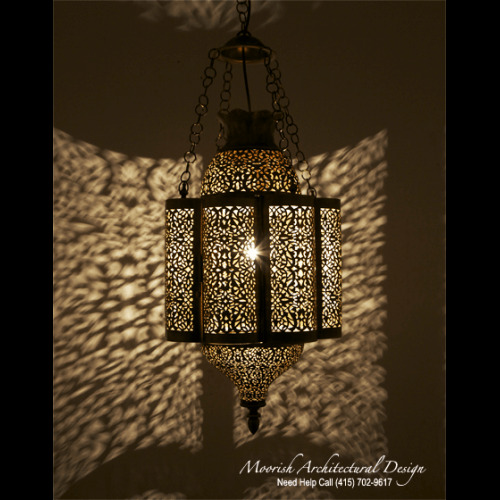 We ship our Moroccan lamps anywhere in California, Los Angeles, Santa Barbara, Palm Springs, New York, Miami Florida, Chicago, Colorado, Arizona, Texas, Hawaii, Canada, Mexico and all of North America. 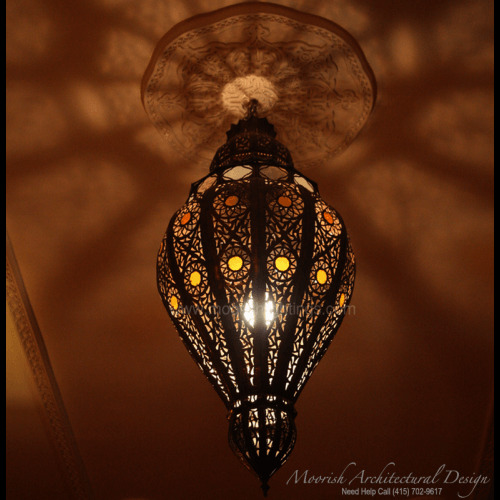 Lighting Projects in Dubai, UAE, Saudi Arabia, Egypt, Lebanon, England, Italy, Germany, Sweden, Australia, Japan, Moscow Russia and other parts of the world would ship directly from our Moroccan lamp shop in Casablanca, Marrakech and Fez. 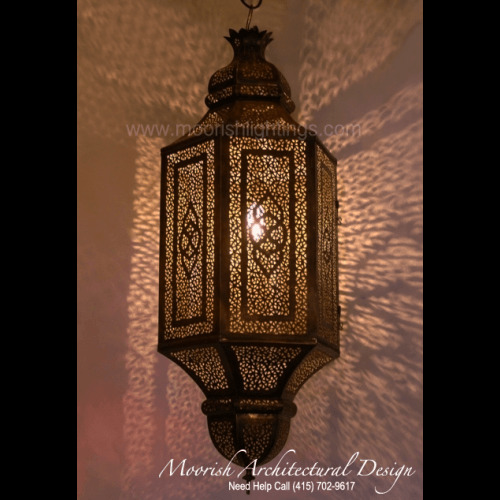 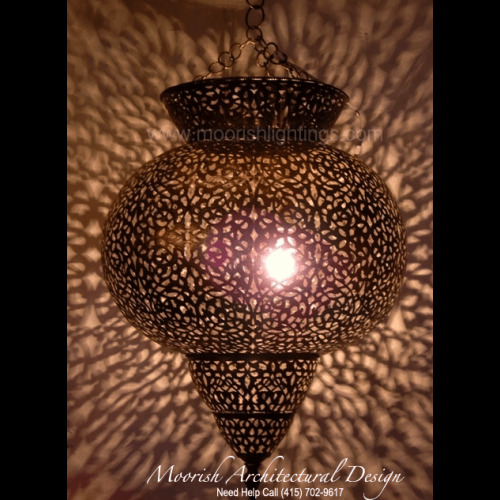 Moorish Architectural Design lighting fixtures and pendant lights have been featured in esteemed residential projects in exotic vacation properties, many hotels, restaurants and spas around the world. 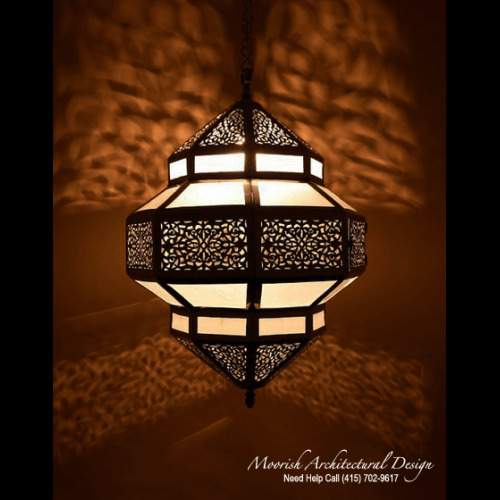 Contact us today for your custom handmade Moroccan pendant lights. 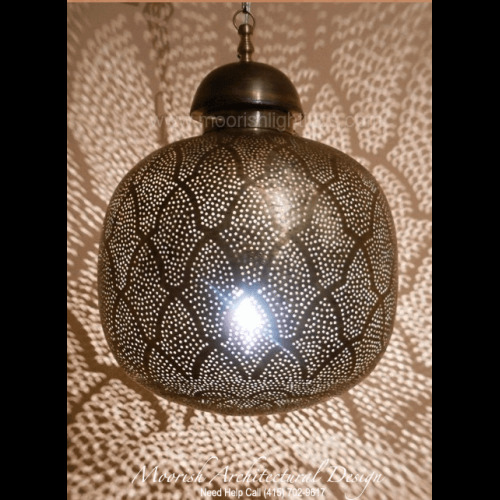 Pendant Lights There are 78 products.